With many thanks to Greg Legendre for sharing these family photos. Greg's grandfather, Junius Legendre, 1919, at a studio on Dryades Street. 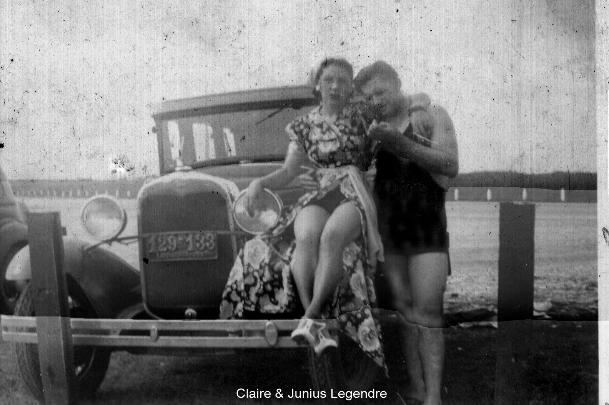 Greg's grandparents, Junius and Claire Legendre, probably at Pontchartrain Beach.